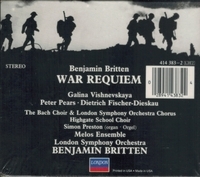 "The composer's 1963 recording remains the preferred account, unequaled in its scope and emotional intensity. 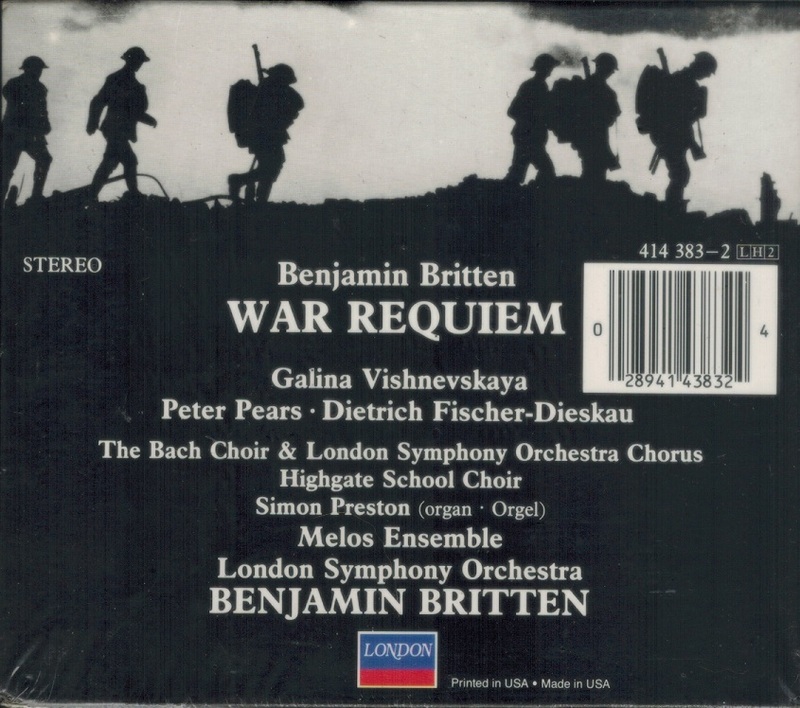 It brings together the three soloists for whom the work was written, chosen not only because of their artistry but because they represented three of the nations most deeply scarred by World War II - the Soviet Union, England, and Germany. 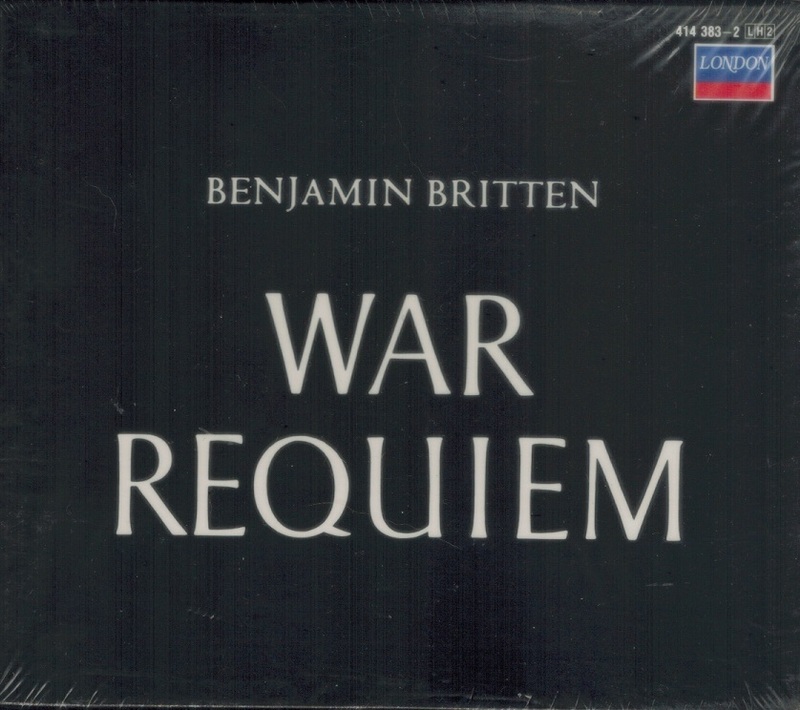 Benjamin Britten holds the vast forces together, and the superbly engineered recording captures with chilling exactitude the power and the nuance of his ardent, visionary interpretation."